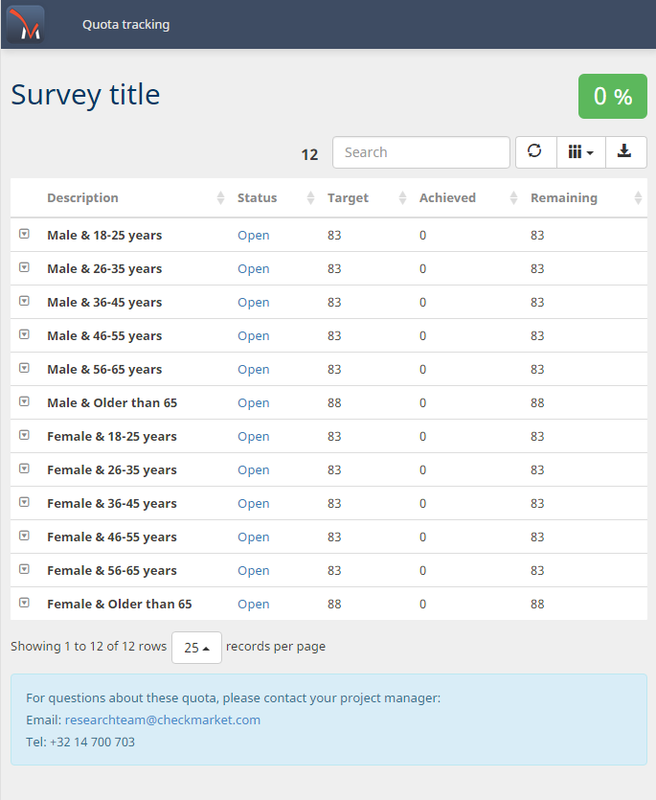 CheckMarket’s survey quotas allows you to keep track of how many respondents meet a condition in your survey and specify what will happen to them once a quota has been filled. This leads to reliable market research based on representative sample sizes. For example, you could use a quota to keep track of how many males and females have taken your survey to make sure you have gathered a balanced sample of data. Once the cap is reached respondents are automatically screened out. Learn here how to set up your survey for quotas. Click on Settings and then on Quotas. 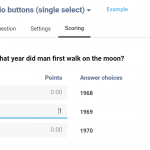 Add the total number of respondents you want to collect (for all quotas combined). No: respondents that match the quotas are counted, but once a quota is reached new respondents can still complete the survey. This option is mostly used for tracking purposes. Yes, to alternative thank-you page: all respondents that match a certain quota will be taken to the alternative thank-you page once that quota is full. 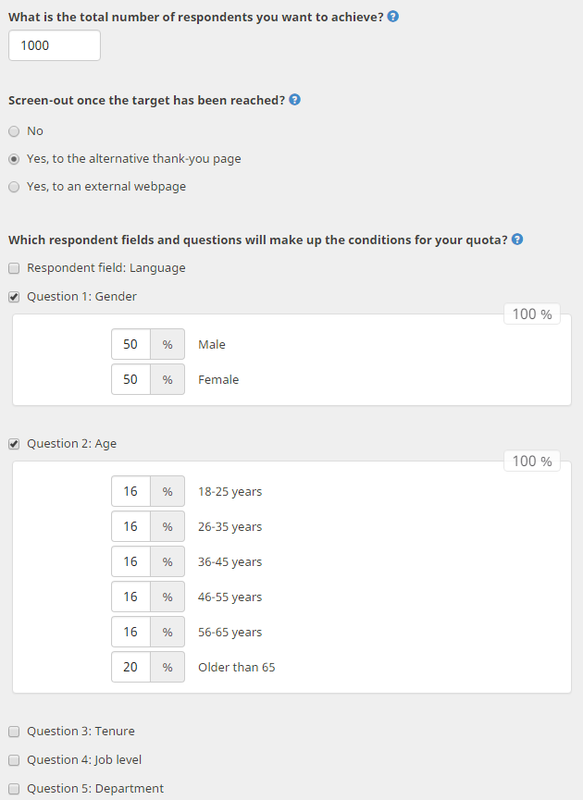 Yes, to an external webpage: fill out the URL respondents that match the quotas should be redirected to. This option comes in handy when you hire a panel. 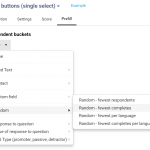 Add other questions if your survey quotas need to be based on multiple segmentation data. The tool automatically calculates the number of respondents required for each quota in order to reach the total you determined. The number of respondents is divided equally over all selected quota questions. You can edit these on the next page. 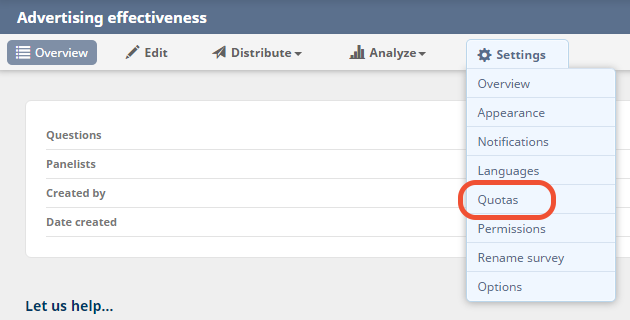 Once you’ve set up your quotas you can still edit each individual quota and change the target number. Locate the quota you wish to change and click on Edit. You can change the name (1), the desired target (2) and the redirect option (3). By selecting ‘Visible in shareable quota report’ (4) this specific quota will be visible in the ‘Shareable quota report’. You can also add additional quotas from this page by clicking on Add quota on top. Or click on Remove all to delete all quotas at once. In order to let an external party follow up on your quotas, CheckMarket provides a ‘shareable quota report’. On top of the quotas page is a URL of a shareable quota report so others can easily follow the quotas without requiring access to your account. Click on Show in order to open the shareable quota report yourself. Once you’re on the ‘shareable quota report’ page you can download this report by clicking on in the upper right corner. You will be prompted to download the Excel file. Both you and everyone you share the URL with will be able to download the report. 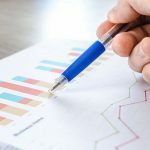 What is the optimal sample size?